Produced by Apothecary Beverage Inc.
bold, authentic, premium organic, whole-herb tisane. 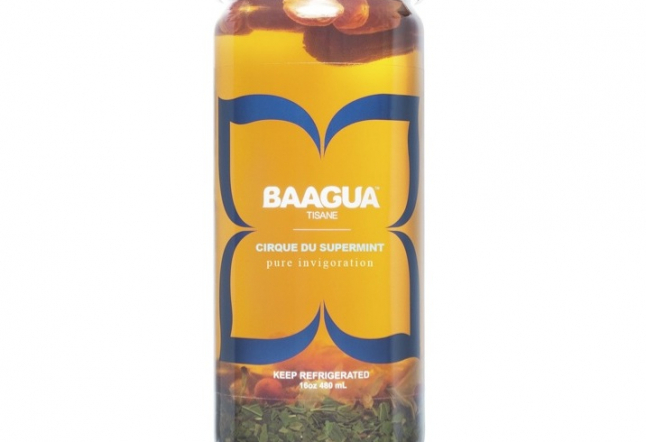 One of those most unique things about the four different Baagua herbal tea bottles is the beautiful packaging. 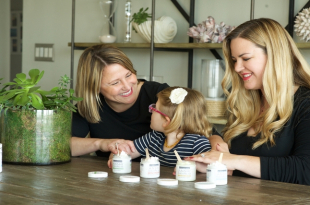 Inside each bottle, there are loose-leaves and pieces of whole herbs—ginger pieces, orange peel, jasmine leaves, flowers, and goji berries. Pleasing to the eyes and delicious to the taste, these four very unusual infusions are a breath of fresh air on the tea scenery! Looking at the bottles we may wonder if we are supposed to filter out the tea leaves and herbs, but in fact they are part of the experience and can be drank directly. 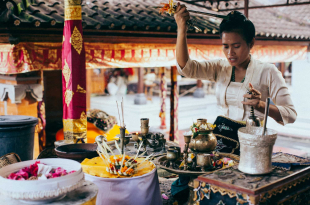 For a glimpse of what to expect before taking your first sip, each bottle's label explains the positive side effects the tea has. In addition, it says to go ahead and re-fill/re-steep with clean, cool or warm water to get "2nd pleasures of lightly altered h2o". Two teas for the price of one? Yes! 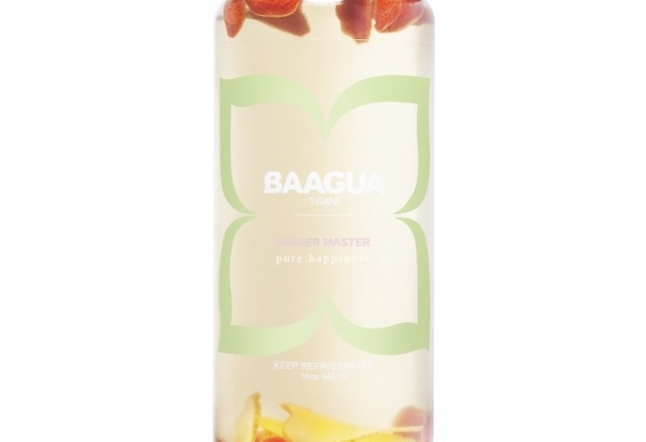 A favorite, the Ginger Master—a ginger tea with a slight hint of goji berries that warms you happily. 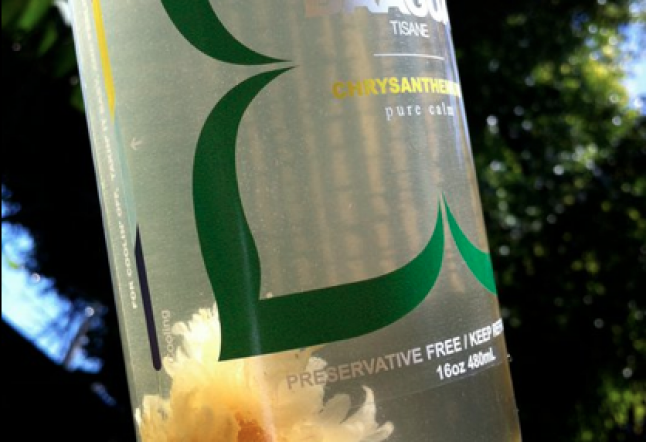 This is one of the most remarkable bottled ginger teas on the market. 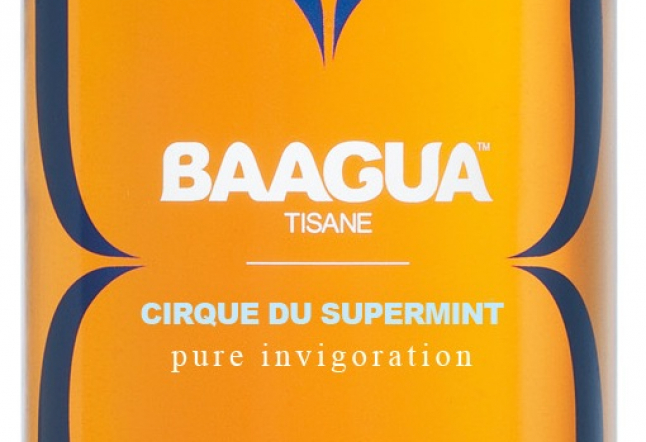 Try the Cirque de Supermint is super cold, as it claims to be—super cooling and invigorating—made with peppermint leaves, orange peel, green jasmine tea, goji berries, jujube date, ginger, chrysanthemum, white peony root, and fleeceflower root. 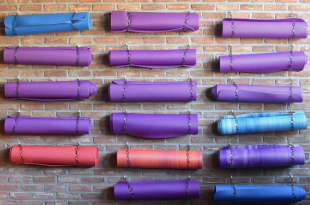 There are two more flavors: Jasmine Green which is said to have motivating effects, and Chrysanthemum the most calming of all flavors. 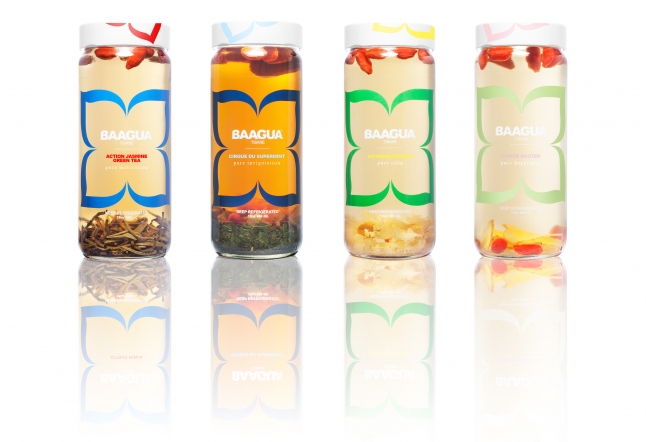 Needless to say, all four Baagua teas are as visually attractive as are their flavors..